I won't waste any time before diving in to the trends I want to point out today. Here are a few wedding trends we are loving right now! The first trend we are loving is the wedding weekend. This is when a couple decides to spend not just a day for their wedding but an entire weekend! So far, we have seen this is mostly the case when a couple rents out a summer camp for their wedding and for their guests. They spend Friday boating, tubing, canoeing, shooting archery, having a bonfire, or whatever they want before their nuptials the next day. We would love to be part of the entire wedding celebration! This one is something that is really easy to add to any wedding day. It involves you and your significant other spending time alone reading vows to one another in a private location. You would still saw vows during your more traditional ceremony but I just think this is such a special moment to share together! Picture this: twinkling lights strung between oak trees with a long table stretching beneath the limbs, a dance floor off to the side, all of which look up directly to the stars. Or, however you decide to arrange it! There is something incredibly magical about celebrating with your friends and family under the open sky! Seriously in love with the magic of outdoor receptions! Alright, this one is a bit unique but it definitely makes the list because it's SO cool! How fun would it be to jump in a pool (or the ocean, or a lake, whatever!) after the wedding day is over with your best friends?! Talk about a lasting memory! 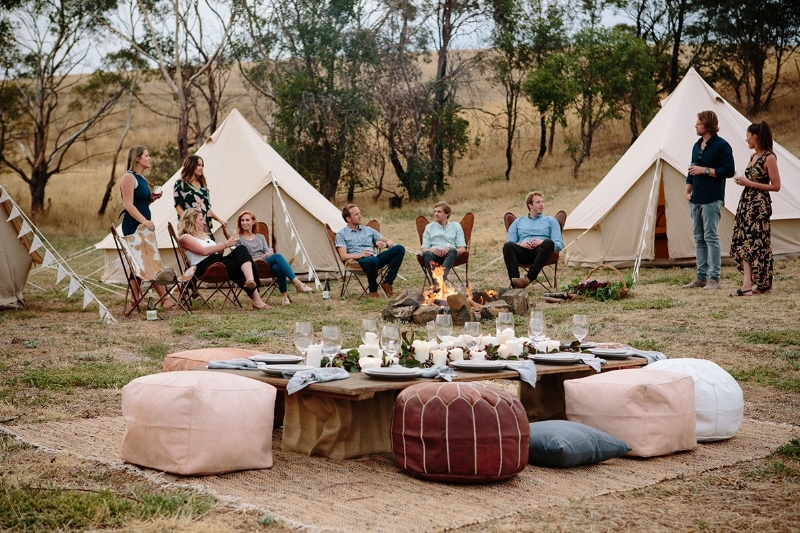 It seems like it would be such a fun way to end the night and bond with your bridal party. This one is similar to the last idea, but a little less wet. 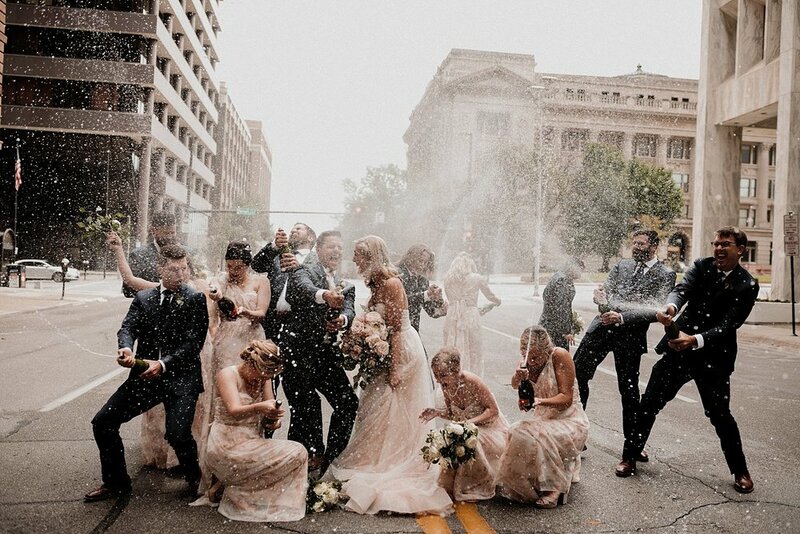 This trend involves poppin bottles with the wedding party and letting the champagne fly! Yes, it's messy and yes, it's probably sticky...but it's also awesome. I mean, look at this photo. PURE JOY!